Tell me guys, what's your Instagram feed looking like these days? For me, seeing the same old Insta shots of coffees and cats gets boring real fast, but yoga – now there's something worth sticking around for. 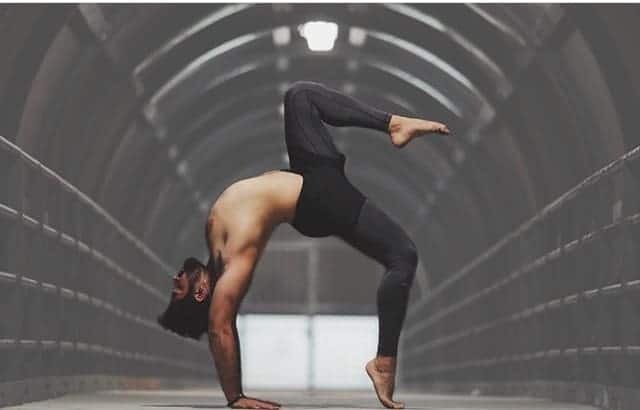 Yoga's taking over Instagram, one handstand at a time. If you're in need of a quick hit of inspiration and guidance, a quick scroll through your feed can be just the ticket. I've been following these yogis for a while now, and I'm genuinely inspired by the beautiful shapes and epic photos that these guys produce. I can't think of a better way to simultaneously shatter stereotypes and inspire positive action. So it's time to swap those cats for down-dogs, and ice-cream sundaes for Buddha bowls, cos we're bringing the best yogi action to your Insta feed. 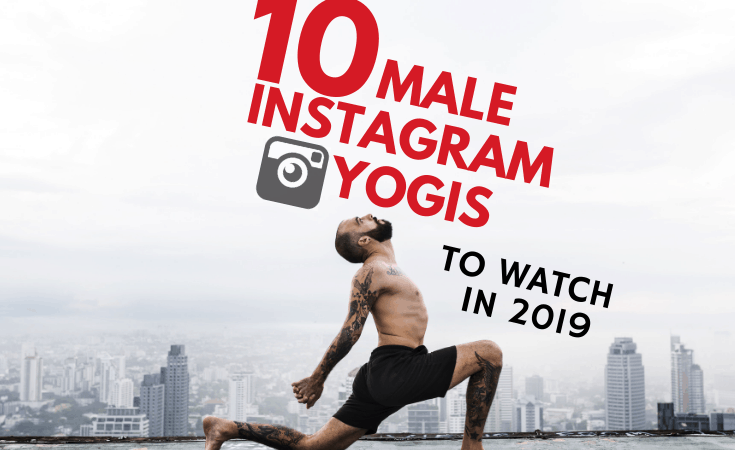 I see great things coming in 2019, and these are the 10 male yogis on Instagram that I'll be watching. 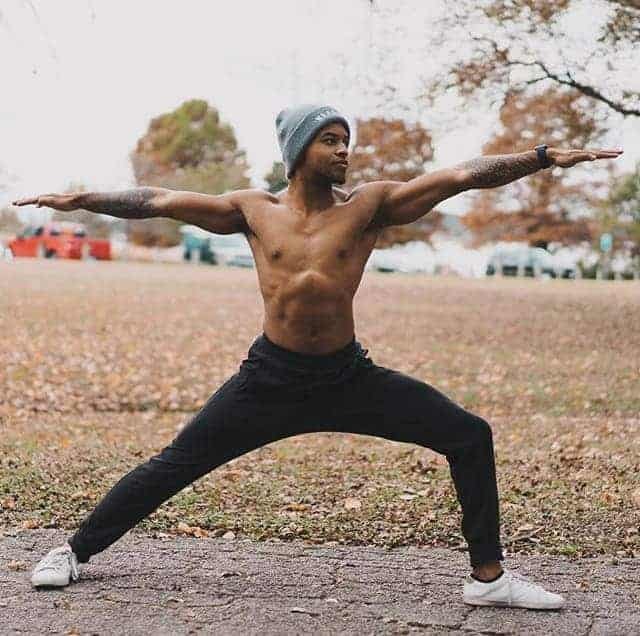 With his signature blend of primal movements and gymnastic grace, Kevin takes a fresh approach to yoga – and it's clear as day through his Instagram posts. Every day is a different handstand flow or lizard crawl, and his style is a great reminder to experiment and play in your own practice. Honestly, his videos make me want to practice my handstands each night, and maybe one day I'll move like he does. Possibly the most photogenic guy on the internet, Patrick is the owner of the brand-new Commune Yoga studio in LA. 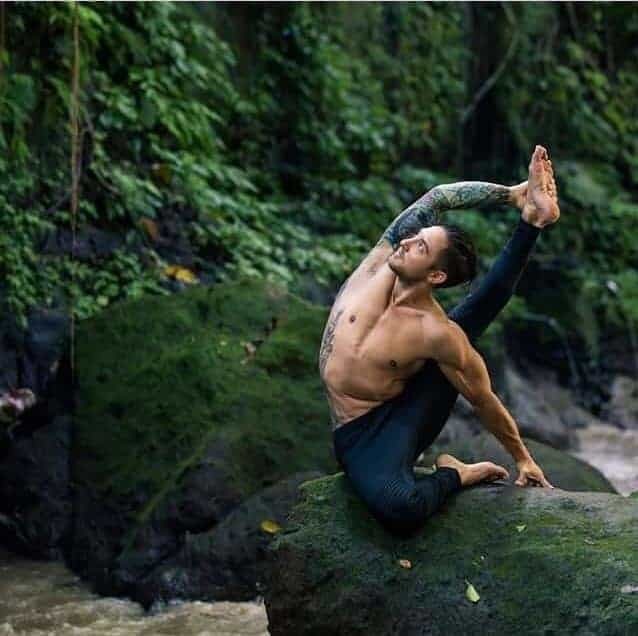 Patrick teaches a strong and fluid vinyasa style called Awakening Yoga, and he's known for his inversions and creative movements. 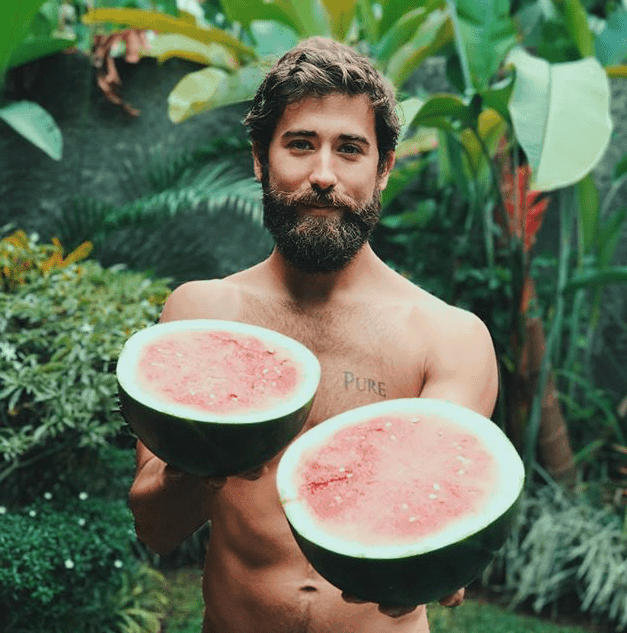 When he's not presenting us with delicious fruit, he's sharing his wholesome yogic life and beautiful practice. As an internationally acclaimed yoga teacher, Adam's feed is a fascinating log of his travels and teachings. With a rich history of sports and academic disciplines, Adam brings an intelligent style of movement to the mat. Like me, he's based in the UK, so I'll definitely be looking to take one of his workshops in 2018. Representing Scotland in the most Scottish way possible, Finlay shot to fame in his kilted yoga video last year. 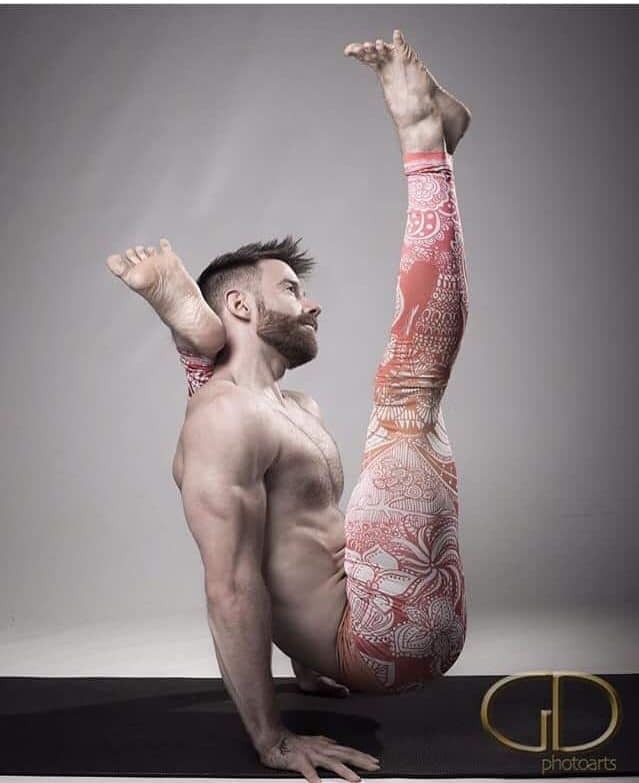 I've never seen a yoga video go viral so fast, and it's done wonders for Finlay and the male yoga community at large. Viral video aside, I keep coming back to Finlay's posts as he shares his deeply authentic and personal practices, and to check out his enviable collection of yoga pants. 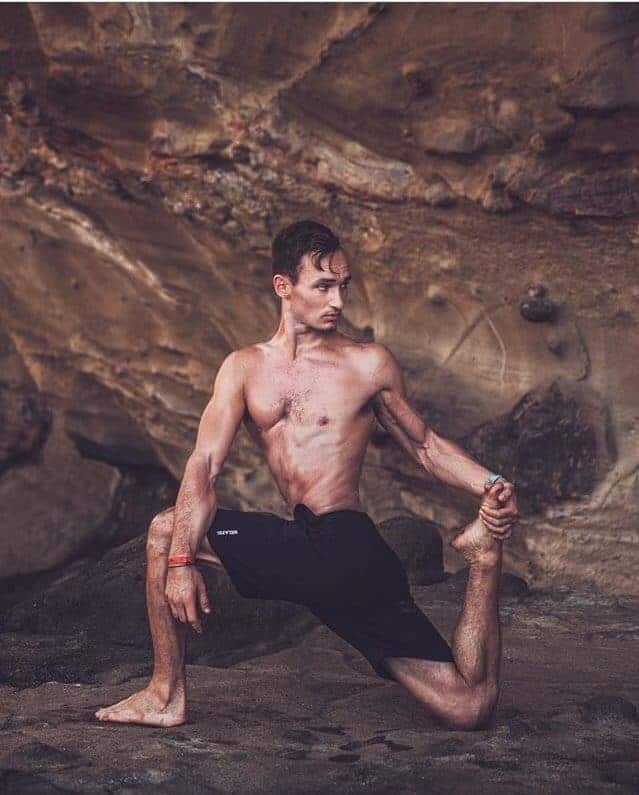 Sean is pretty much the perfect example of how a strong and flexible body can be built through yoga and training. With his great physique and cracking hair, it's safe to say I'm a little envious. But there's no ego to be found in his posts, instead, there's a touch of wisdom and a little insight into his thoughts. His photos may be flawless, but his personal touch is enough to remind you that he's human after all. 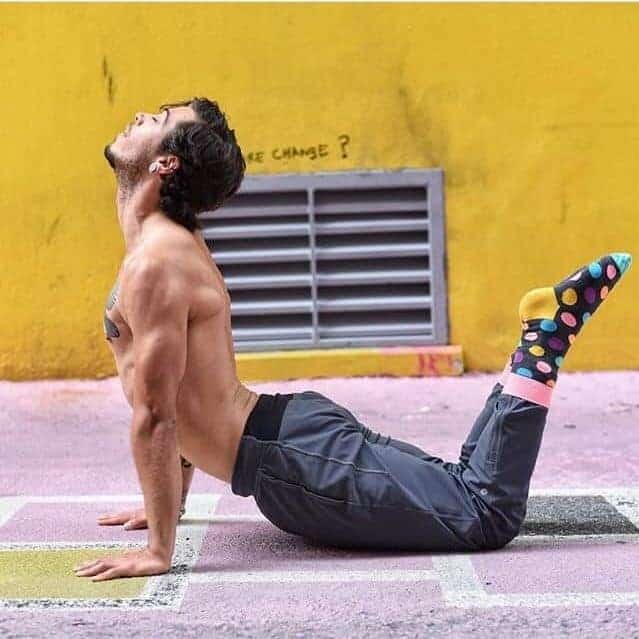 Julio's feed is a place where the worlds of art and yoga collide. His skill as a photographer and filmmaker is clearly apparent in his gorgeous photos. You'll find everything from acro and inversions, to travel and style. You'd be mad to miss it. Brian is a true inspiration for me this year. While he may not have the sizeable Instagram following of some of the others on this list just yet, his ambition and drive to forge a new path in his life is truly infectious. Whether you're looking for mindful movement tips, yoga flows or nomadic inspiration – Brian brings it in spades. Flawless yoga photos on the beach may be a dime a dozen these days, but nobody does Instagram quite like Carson. 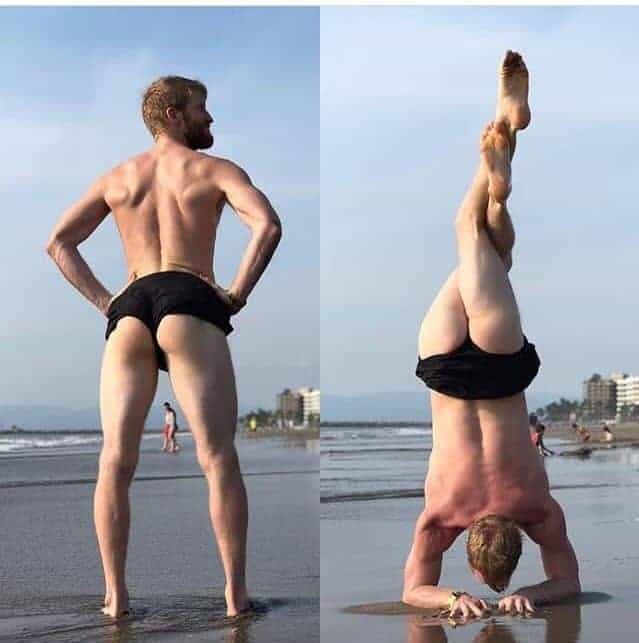 Injecting a healthy dose of humour into an online space which can be all too serious at times, this self-proclaimed handstand-up comedian's photos are a breath of fresh air. Carson teaches Rocket Yoga, an energetic Ashtanga system, so all those jokes are backed up by some serious yoga skills. De'Andre's feed is one of my favourites. It's real, authentic and brimming with light and compassion. He has a way of making poses look strong and soft in equal measure. 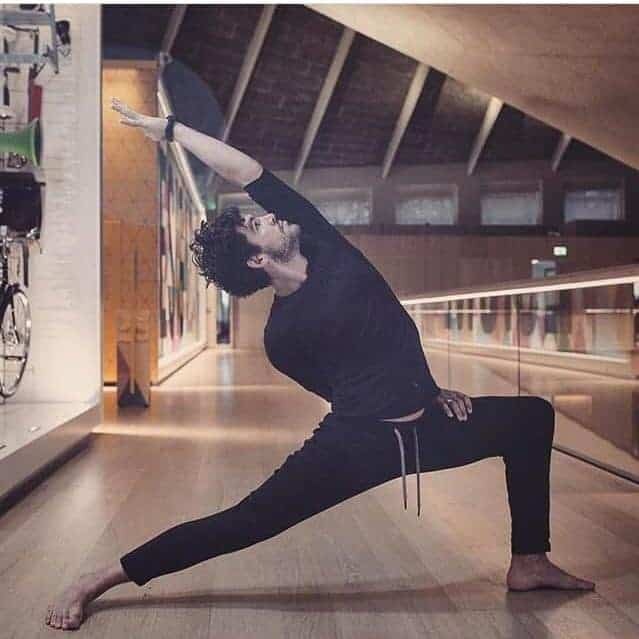 I draw a lot of parallels between his fitness journey and my own, from weightlifting to yoga and now trying to strike a balance between the two. No list would be complete without the Instagram powerhouse that is Dylan Werner. Every post is a flawless combination of yoga, art and wisdom. Need I say more? 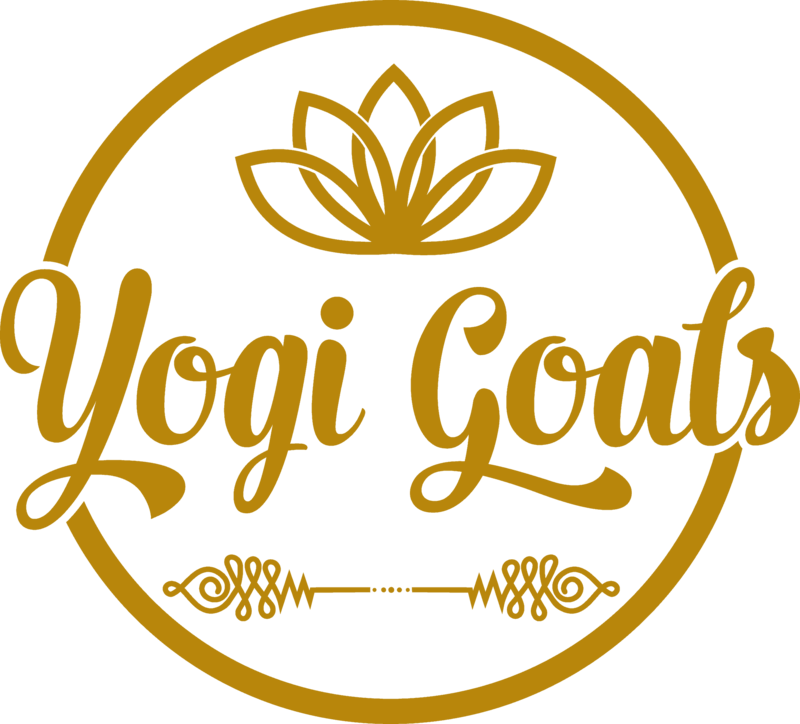 So these are my favourite Instagram yogis, but I'd love to hear yours too!